CREATIVE ZONE brings together like-minded SME entrepreneurs through our interactive networking events at prime locations around Dubai. Grow your business and achieve your business goals with the help of the experts in the industry! 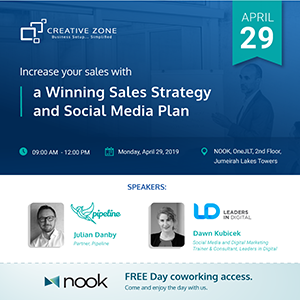 CREATIVE ZONE invites you to join our workshop on how to increase sales with a winning sales strategy and an effective social media plan. 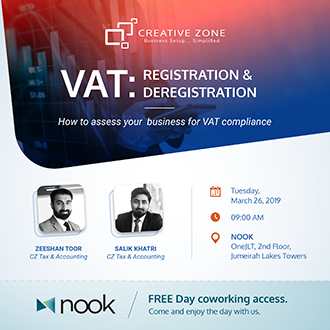 Following the huge success of our last VAT workshop, we have decided to rerun the event so our clients will have the information that they need to ensure that their business is compliant with the law. 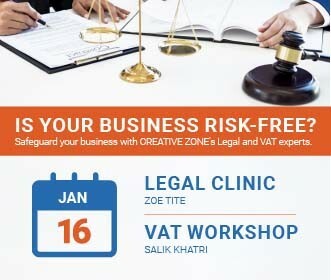 Join our monthly VAT workshop to access the knowledge you need to ensure your business is compliant. Find out the latest updates on deregistration to safeguard your business from possible penalties and build stronger financial record management to help your business grow. Join the Business Intelligence Workshop on Employment Law in the UAE, which covers employment law obligations and employment rights. Understand the laws and learn from real-life cases through an interactive session with our expert employment lawyers. Are you a startup looking to safeguard your business? 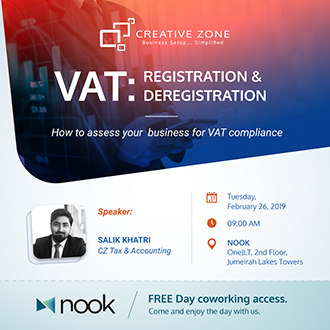 Join our monthly VAT workshop to access the knowledge you need to ensure your business is compliant. Find out the latest updates on managing VAT, safeguard your business from possible penalties and build stronger financial record management to help your business grow. 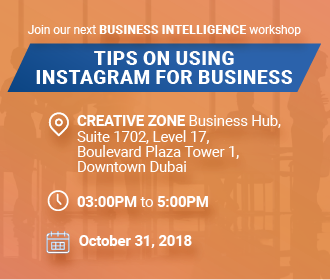 Our speaker, Dawn Kubicek of Leaders In Digital, will be sharing her tips on ways to beat the ever-changing Instagram algorithm to help you increase followers as well as ROI through this channel.